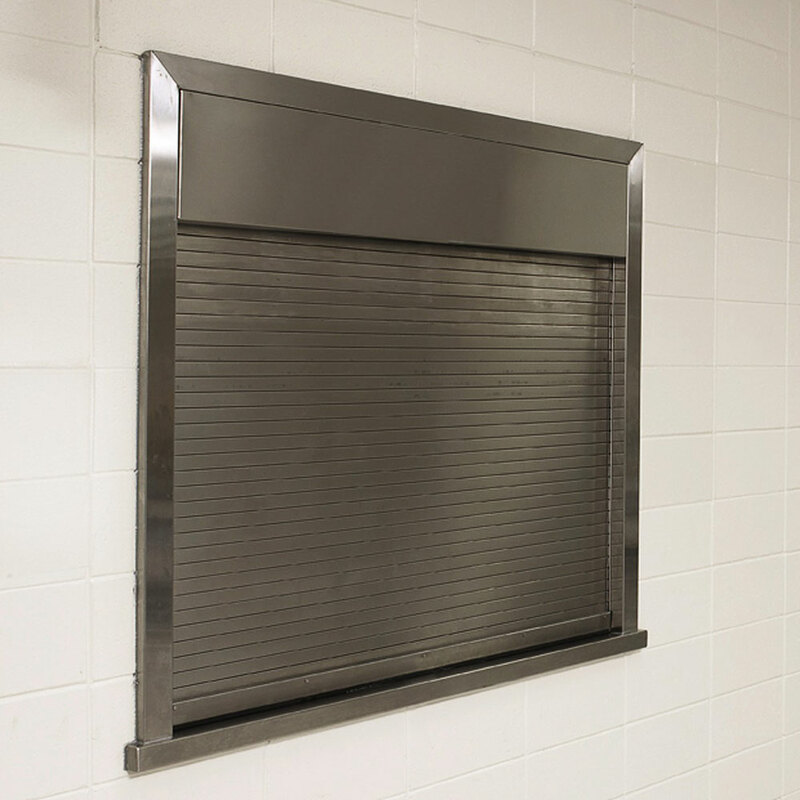 Wayne Dalton’s Model 560 Integral Frame Counter Shutters provide an attractive appearance for a variety of applications, including food service counters. Whether you choose a curtain of galvanized steel, stainless steel or aluminum slats, you will receive a shutter door that is both durable and attractive. These counter shutters feature all steel, 16-gauge frames, fascia and hood, as well as 14-gauge sills. Bottom bars, lift handles and slide bolts are fabricated of aluminum, stainless or steel with vinyl astragals for added durability. Our integral frame counter shutters are constructed of high-quality flat slats for a good, tight fit and enhanced aesthetics. Interlocking slats with a flat profile provide an attractive and tight fit, while endlocks on alternative slats eliminate lateral movement and maintain curtain alignment. The adjustable counterbalance assembly features helical torsion springs in a steel tube or pipe barrel, presenting a clean, finished look. If a fire-rated door is required, ask your local Wayne Dalton Dealer for information about our FireStar® fire doors, including counter fire doors and shutters.